Highflyer wines are inspired by my two passions: winemaking and aviation. As a private pilot, I am able to see AVAs throughout the Golden State from a unique perspective. From the window of my airplane, I can scout out interesting vineyards based on the unique characteristics of the vineyard topography and location. In a day, I can tour distant vineyard sites down state, meet with the vineyard management team…and be home in time for dinner. In 2003, Highflyer wines were born out of the idea that by using my hobby to support my work, I could attain my goal of making pure, distinctive, charismatic wines from fruit grown by the most qualified vineyard managers on sites best suited to each varietal. Since then, the team and I have been taking this task quite seriously – building lasting relationships and honoring our commitment to deliver the vineyard in each bottle of wine. California native, Craig Becker, never does anything halfway. He is an insatiable student of nature, fueled by his love of the outdoors. Initially, it was his strong appreciation for the natural world that attracted him to winemaking and grape growing. For Craig, nature and science were perfectly paired and his goal of making pure, distinctive, charismatic wines became an indisputable goal. While at the University of California at Davis, he was consumed by his study of every scientific discipline impacting grape growing and winemaking (enology, viticulture, plant physiology and hydrologic science). Since then, Craig has worked with countless grape varieties from California’s top vineyard sites. From assistant winemaking to vineyard consulting, to overseeing entire vineyard and winemaking operations, Craig has established a reputation for being a winemaker deeply involved in every detail of both farming and the cellar. 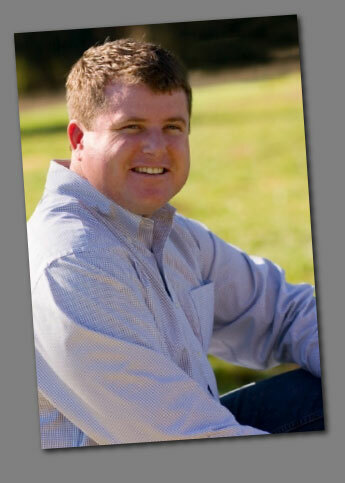 Craig currently oversees all of Highflyer’s winemaking and vineyard operations and is concurrently the General Manager and Director of Winemaking and Viticulture for Priest Ranch and the Somerston Estate. He is constantly developing new ideas and innovations while conscientiously maintaining strong, respectful relationships with growers and vineyard workers, many of whom have worked the property for decades. But what really makes Craig special is his ability to blend an artisan approach to winemaking with his extensive scientific training. To ensure quality control at every step, Craig works closely with the growers and the viticultural teams before expertly guiding the grapes in a way that captures the accuracy and character of each distinct varietal and site. He then uses traditional winemaking techniques (native fermentation, unfiltered, etc.) to allow the vineyard site and varietal to be expressed in each bottle of wine.